We sleep, we wake up, fall back to unconsciousness, and reawaken again. This is literally true, and has a figurative sense as well. In the literal sense, we seem to need the periods where sensation and voluntary movement are mostly shut down to go anabolic and build up our systems: immunity, bones and muscles, brain and nerves. Might something like this also be true of realizations of sacred* dimensions of reality**, or of bodhi, or, call it what you will, “waking up” to some important aspect of what’s going on around you? Do we need periods where our animal bodies just go through the motions, on autopilot like a zombie, to build up emotional reserves for our next epiphany? Your Prompt: Sing for waking up. Simply that, open-ended, take that in any way that works for you… and/or take additional guidance from the Options below. Option A: Literally Waking Up – You have a couple of options with this Option. 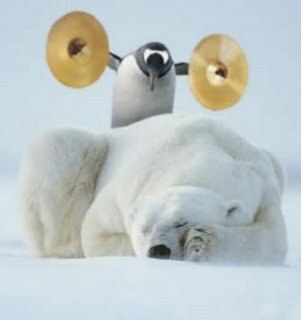 Another option is to sing a song for waking up… an alarm, a clarion call. Or, a gentle song meant to coax a sleeper to wakefulness, kind of an inverse lullaby. That’s an option. Option B: Awake! Revive! – Get figurative. There are things going on all around us that we’re not paying enough attention to. Our relationships. Social injustices. Deeper ways of connecting with members of our communities. More meaningful ways of living. Sing a song of your personal waking up to one or more of these things, that moment you realized [insert your realization here]. Or, perhaps you’re living a reality that others are woefully unaware of; take this time to sing their wake-up call. Step 1: Record yourself singing your song of waking up. Deadline: Your tracks should be uploaded by midnight wherever you are on Monday, September 14, 2015. Length: The length of your finished work should be about 2 to 5 minutes, or however long you need to sing your waking-up song. Title/Tag: When uploading to SoundCloud, put “[sss-waking]” in the title of your track. Also include the term “sss-waking” as a tag. This will help us find it. « Prompt 32: Childhood songs.